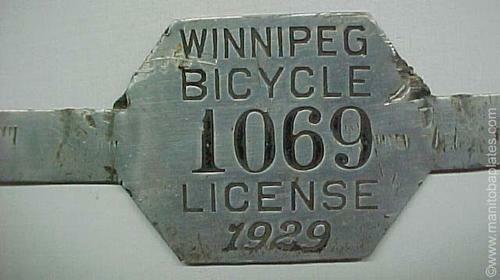 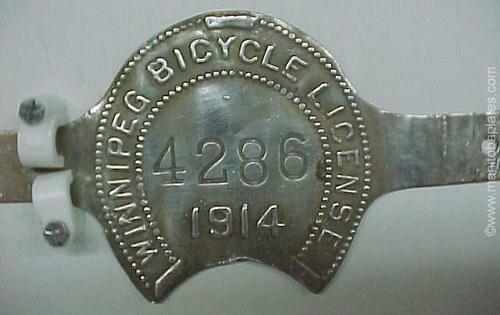 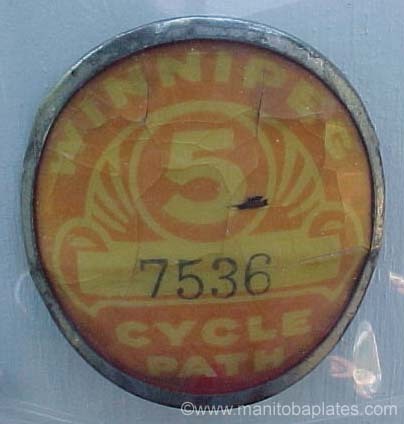 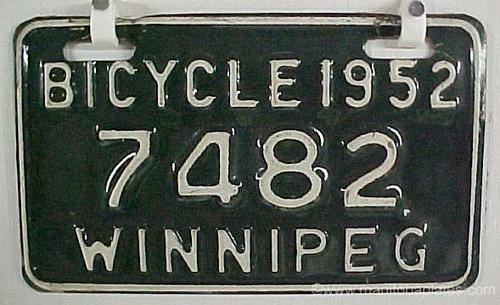 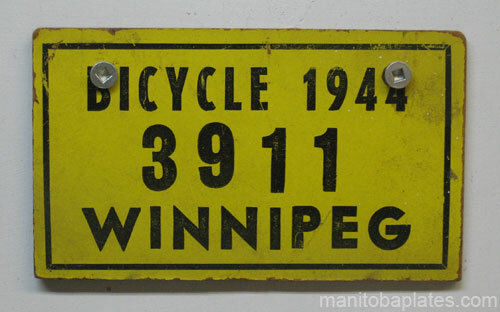 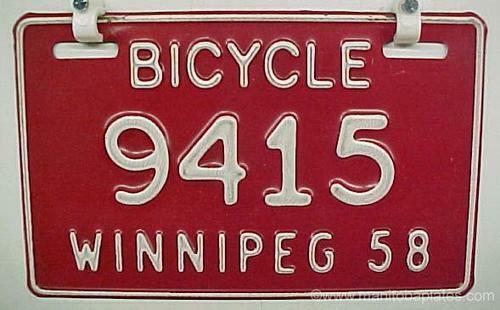 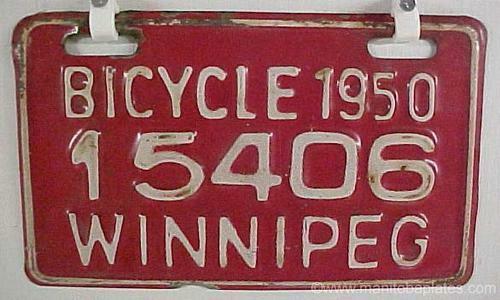 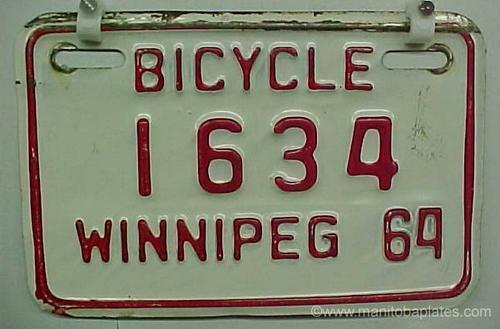 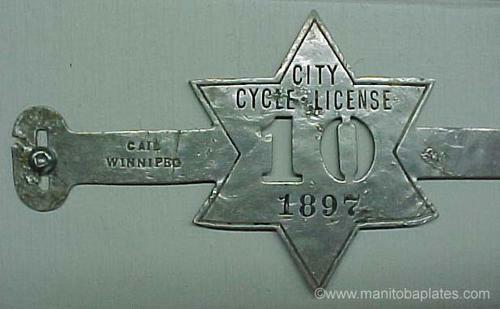 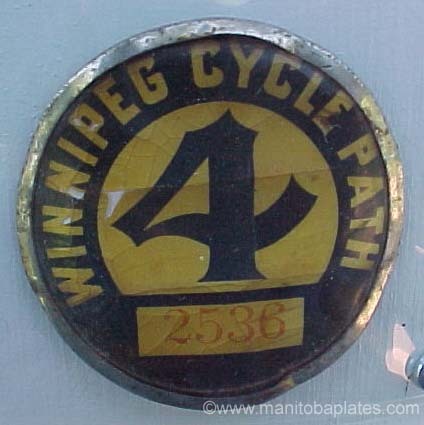 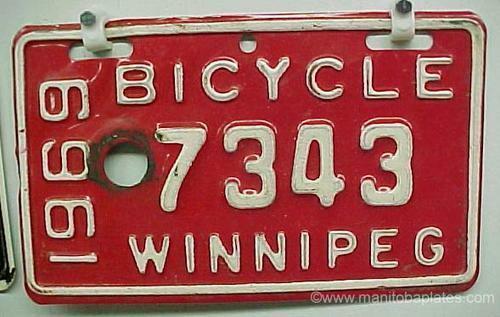 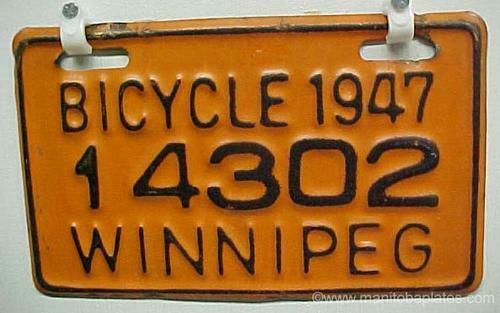 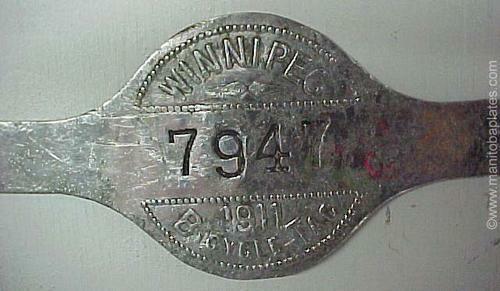 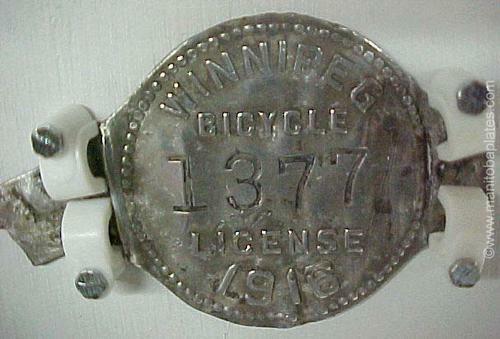 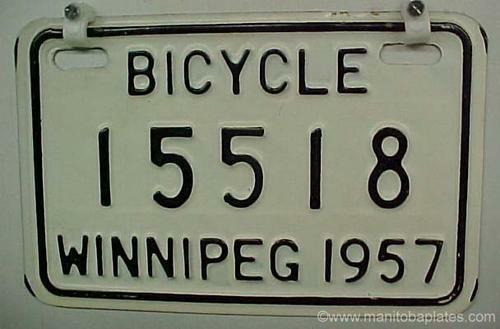 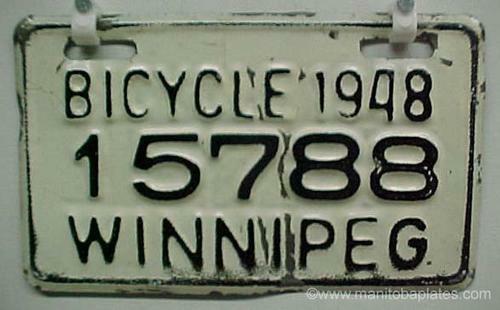 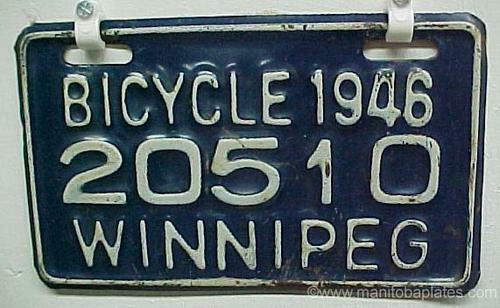 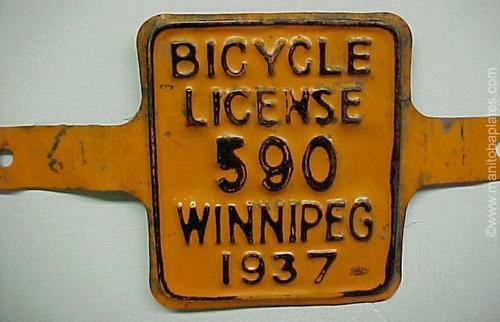 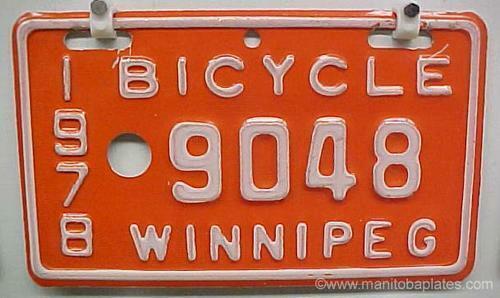 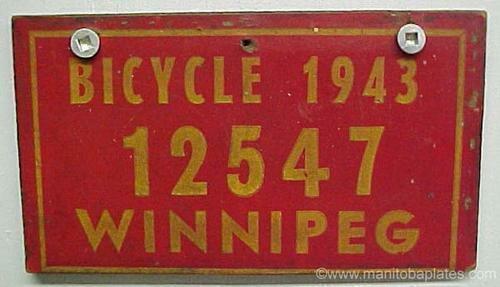 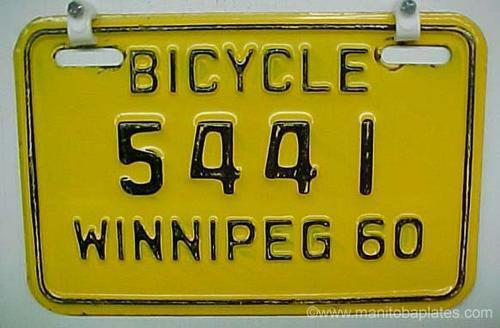 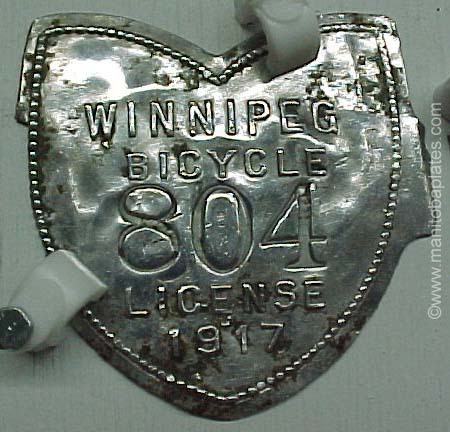 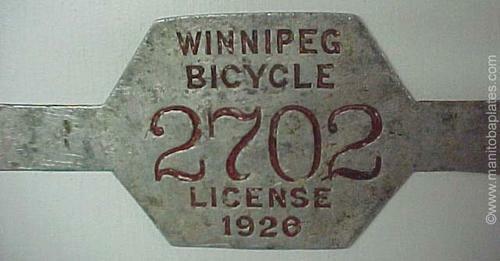 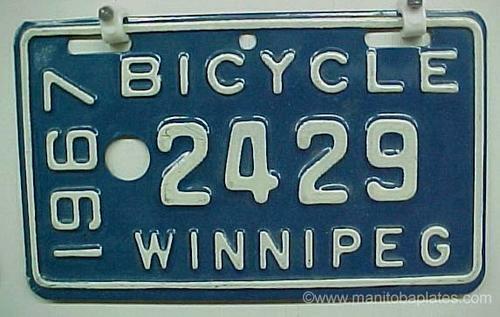 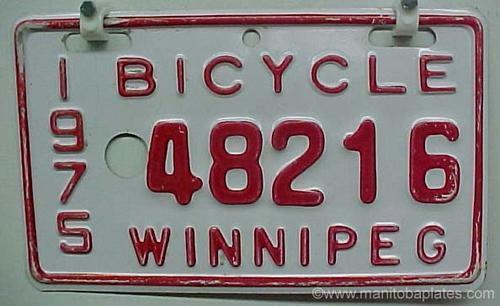 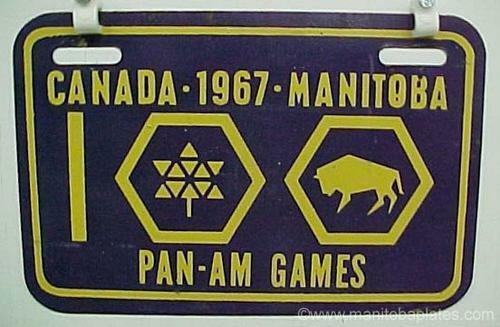 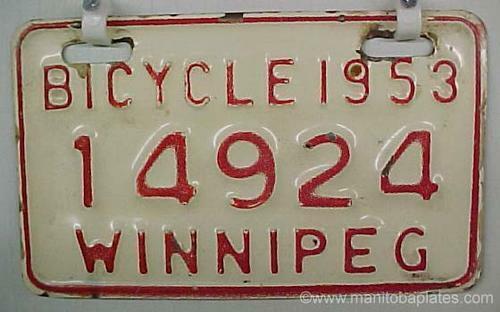 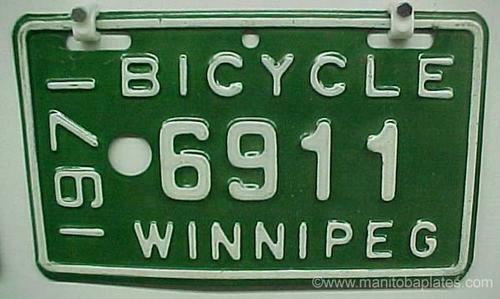 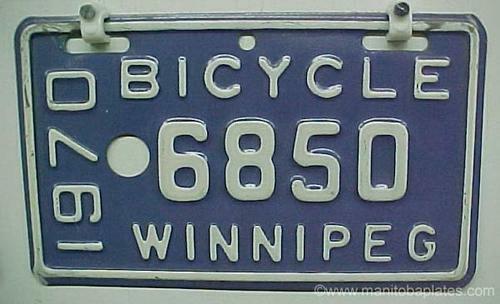 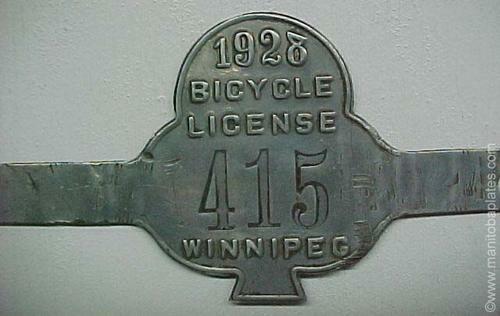 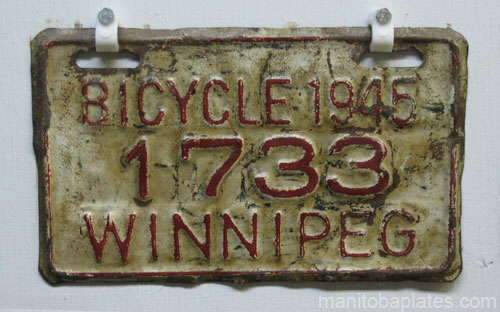 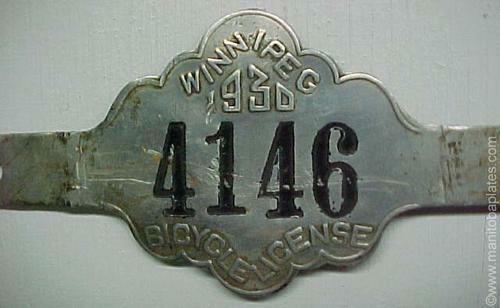 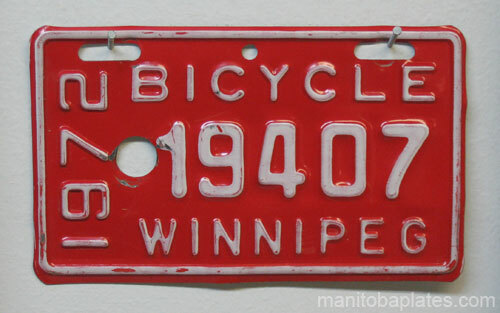 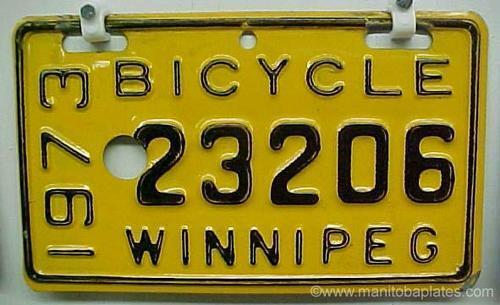 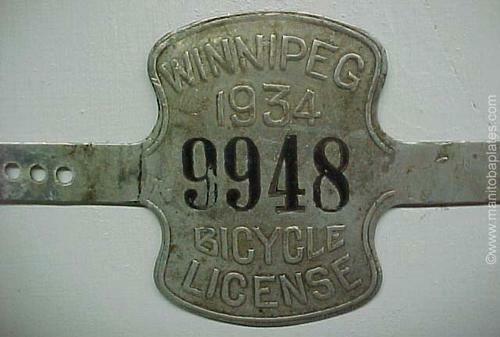 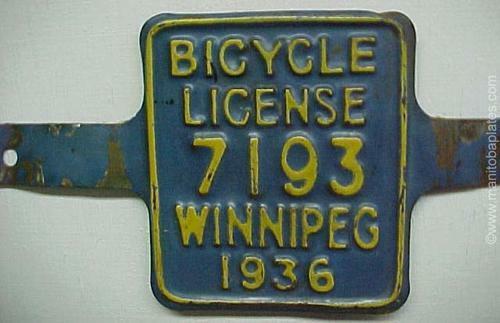 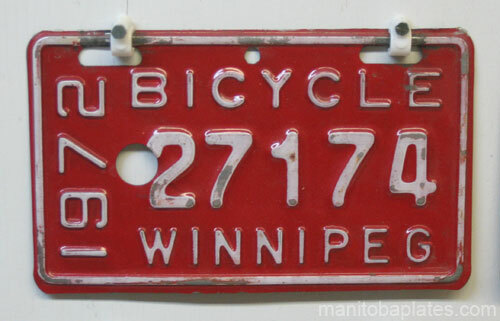 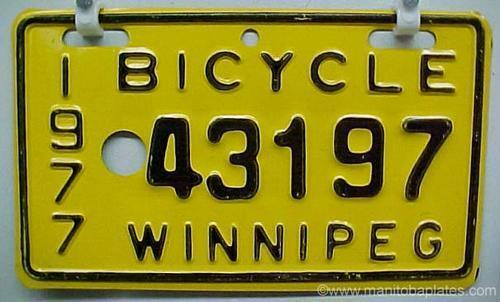 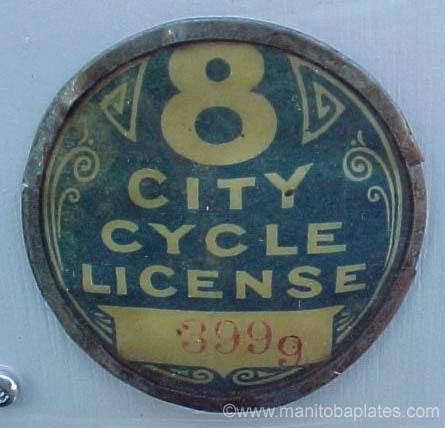 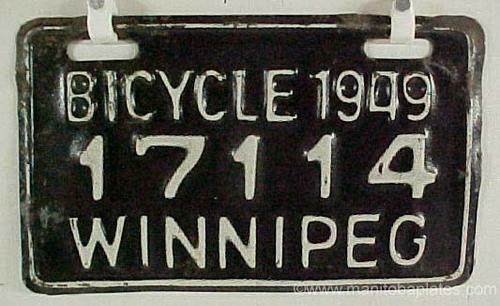 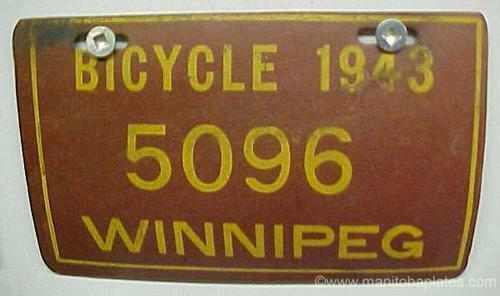 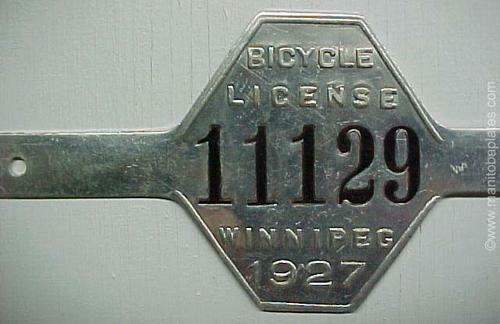 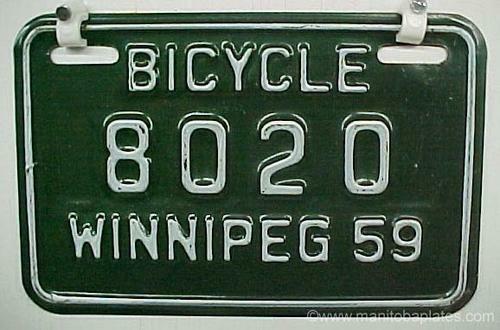 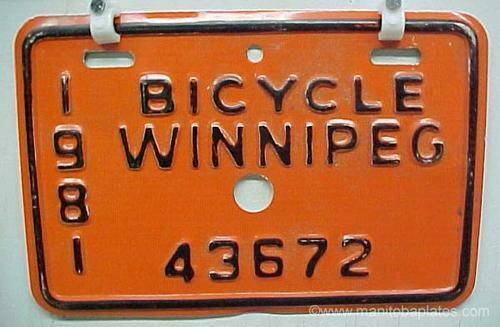 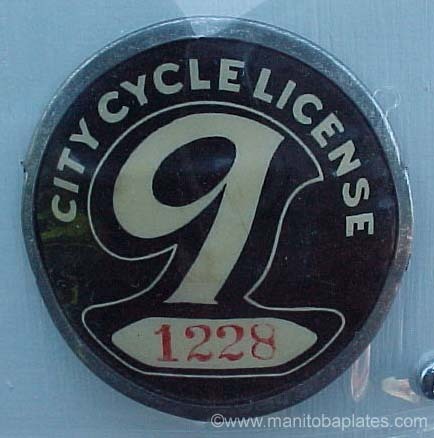 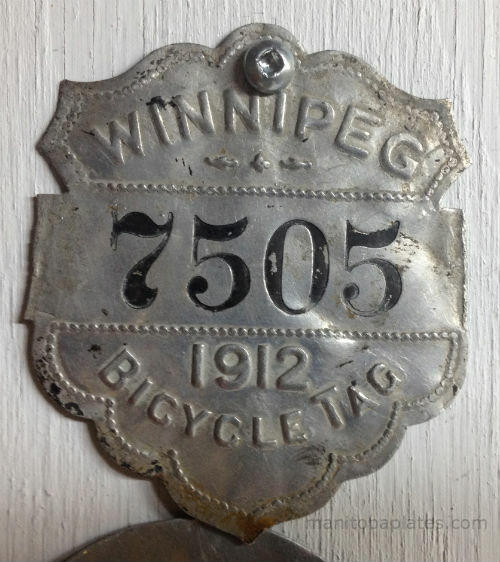 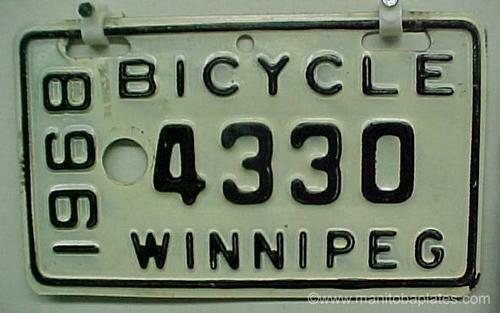 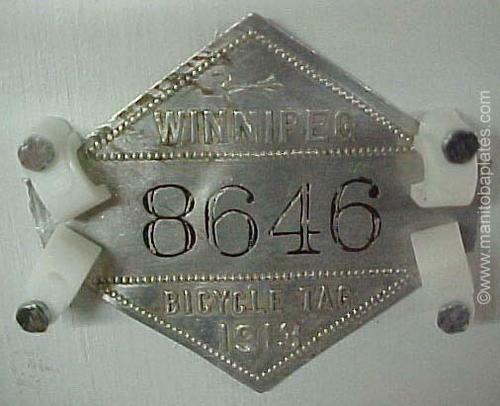 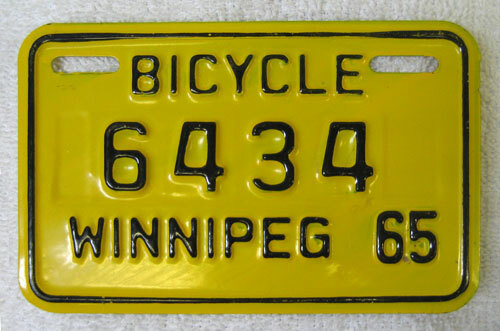 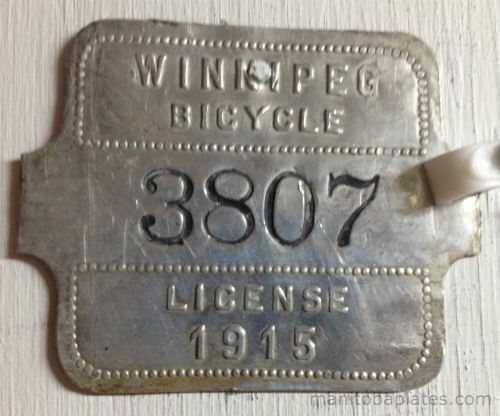 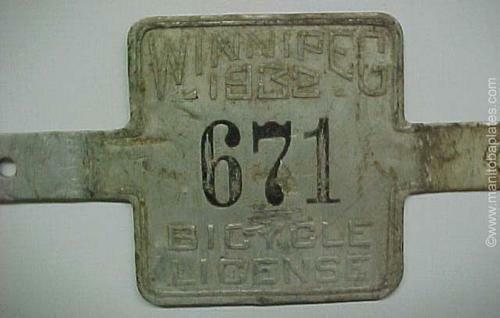 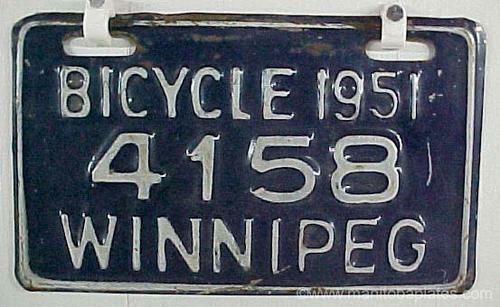 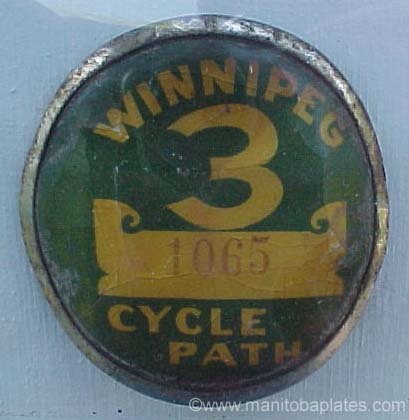 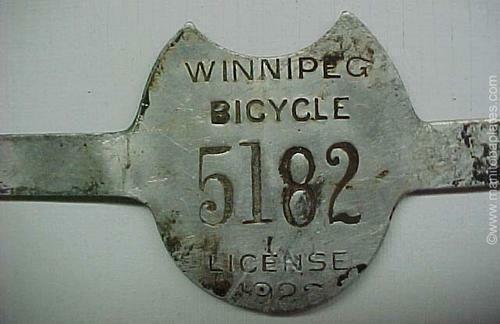 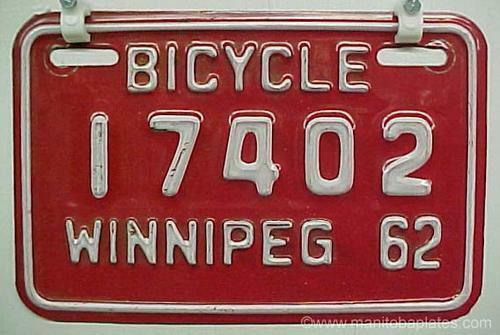 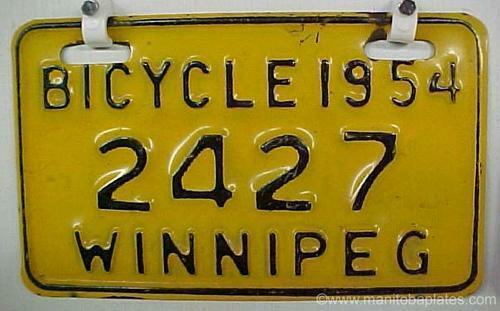 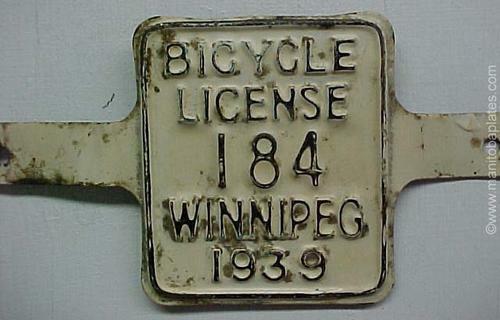 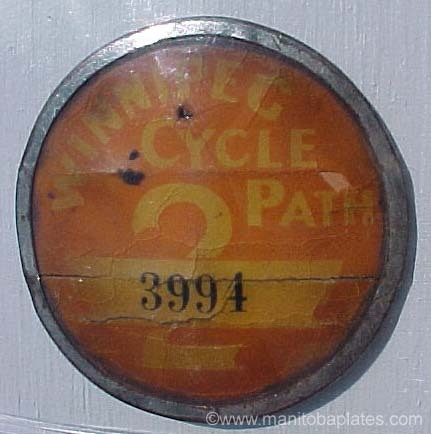 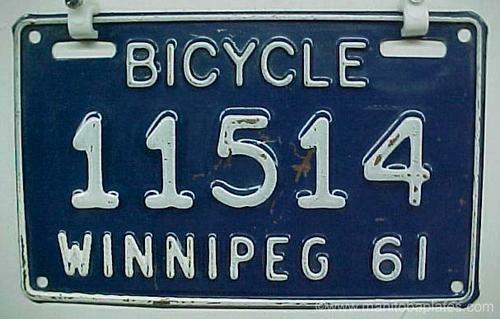 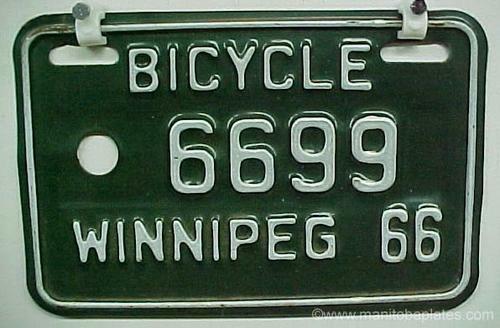 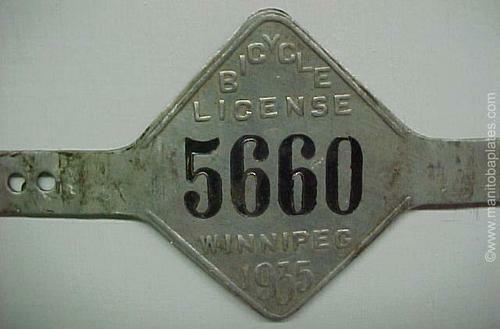 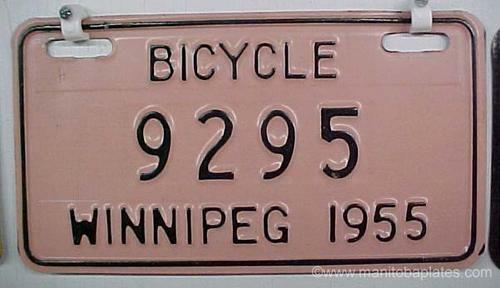 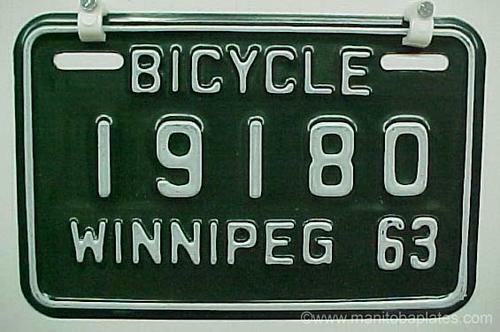 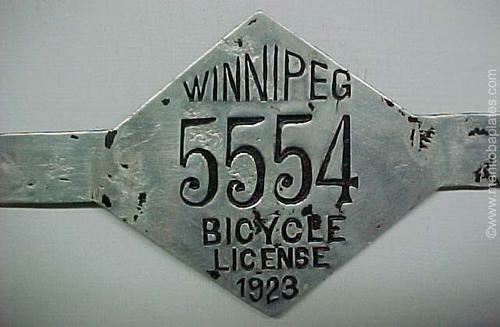 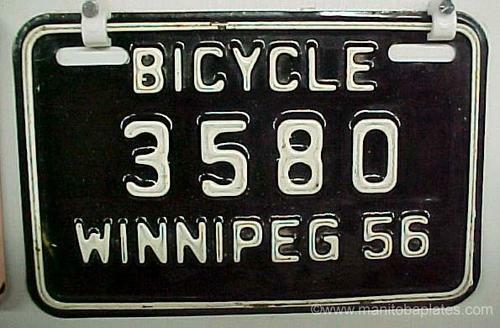 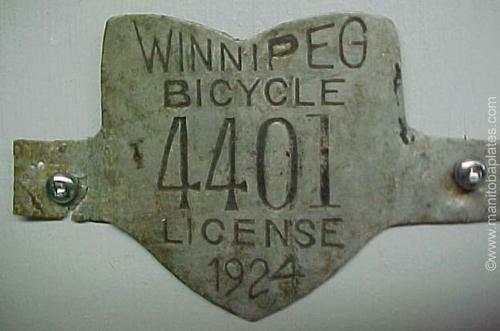 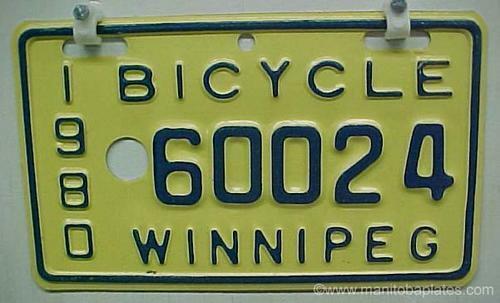 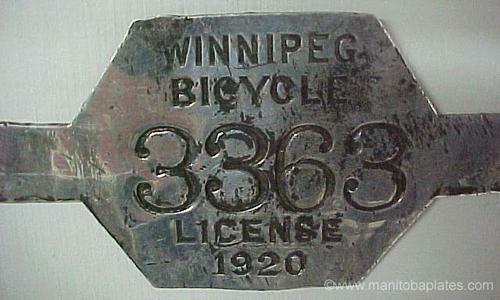 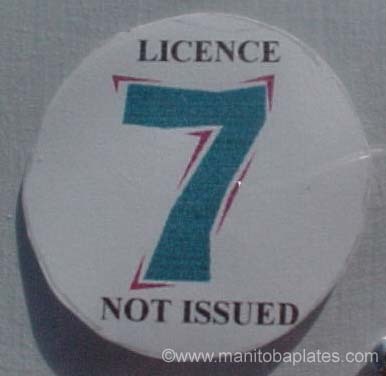 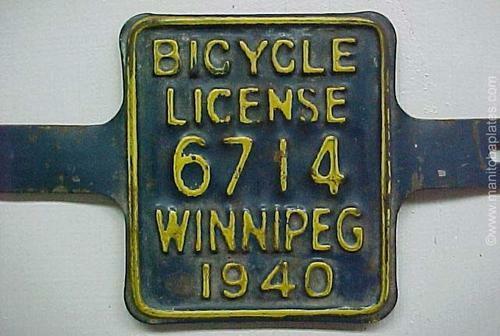 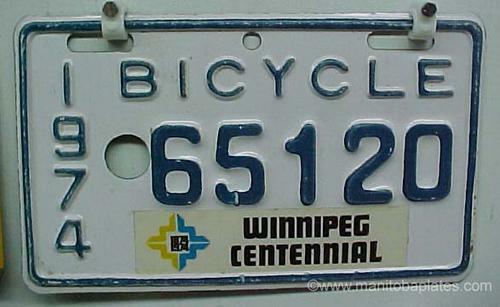 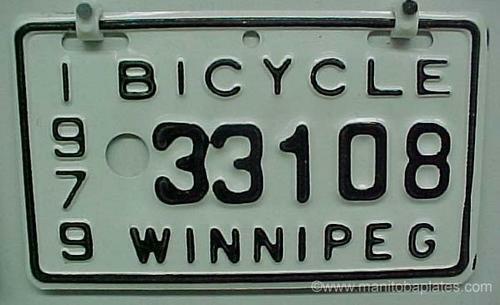 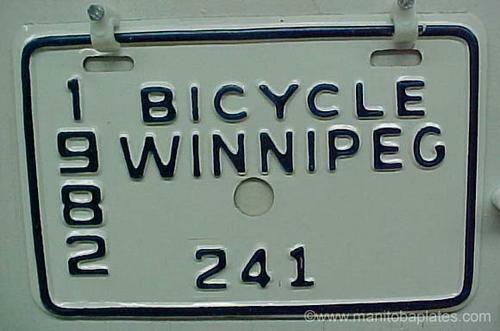 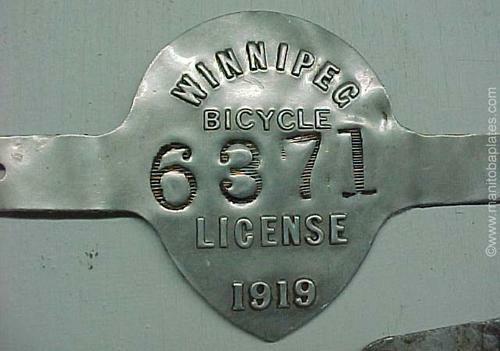 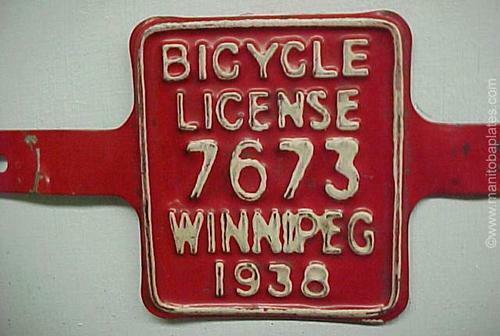 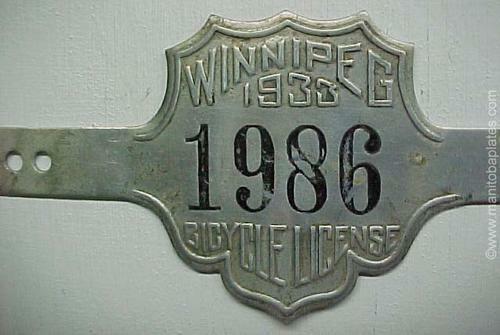 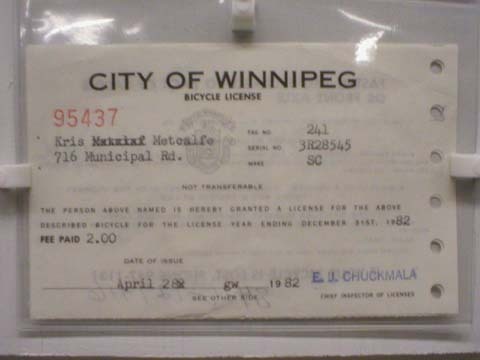 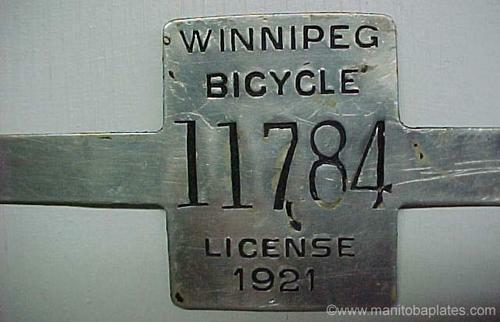 Winnipeg cycle path license plates were city issued beginning in 1899. 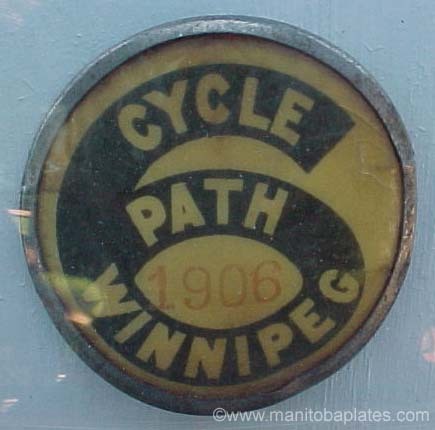 There was no plate issued in 1907 as the city had discontinued the cycle path registerations. 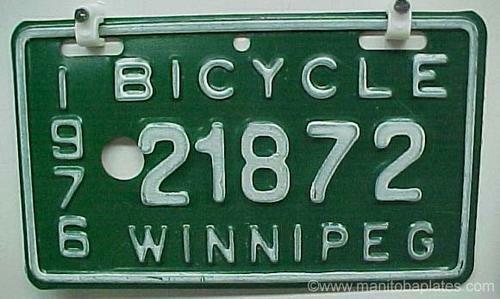 However, the error of their ways was soon realized and plates were again issued from 1908 until 1982.